We’re keeping the streak alive this week with another puzzle game – our favorite type! 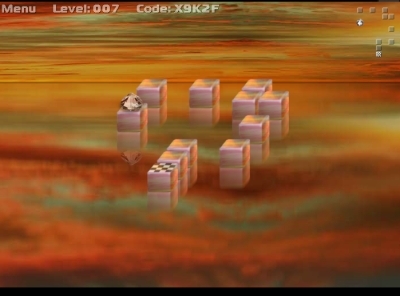 Enter Block Drop a game where all you have to do is jump on each block once to sink it, and end up on the checkered block to ferry you across the River Styx to the next level. Jump one block in any direction using the arrow keys, two blocks using the shift+arrow keys. That’s all there is to it. Happy jumping, and happy weekend!